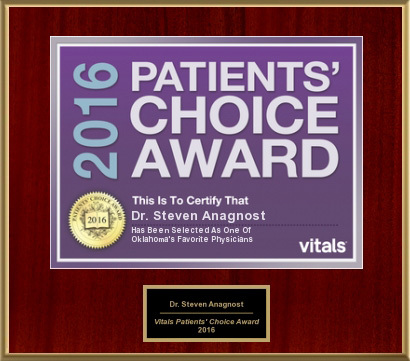 Editor’s Note: This is the second in a series of exclusive investigative reports that focus on Dr. Steven Anagnost and his battle to retain his medical license while also trying to defend himself against allegations from the Oklahoma Medical Licensure Board, competing physicians and a group of medical malpractice attorneys in Tulsa. OKLAHOMA CITY — Oklahoma’s Medical Licensure Board spent more than $700,000 to investigate and prosecute a Tulsa spine surgeon who was accused of fraudulent billing, incompetency and failing to perform surgeries that patients expected. After 5 years of investigating Dr. Steven Anagnost, the board dropped the complaints when faced with a lawsuit the surgeon filed against the medical board in Oklahoma County District Court. At no time was Anagnost disciplined or was his license ever revoked or suspended. The medical board and its executive director, Lyle Kelsey, were chastised for spending so much money on one investigation by State Rep. Richard Morrissette (D-Oklahoma City). Morrissette has scheduled a Jan. 15 public hearing at the State Capitol to investigate the actions and decisions by the medical board in connection with the Anagnost case. The hearing is expected to be broadcast live via the Internet. Records show the state agency agreed to pay private attorney Dan Graves $350,000 to serve as the prosecutor against Anagnost. Records also show Dr. Kern Singh, of Chicago, was paid $125,000 for his expert testimony in the case against Anagnost. Invoices from four other attorneys and an administrative law judge accounted for the remaining expenditures, records indicate. Medical board Executive Director Lyle Kelsey did not return phone calls for comment in connection with this story. In 2012, Graves’ original agreement with the medical licensure board was increased from $100,000 to $200,000 based on “the sheer volume of discovery, the complexity and number of hours stipulated for presentation of this case,” a contract shows. Graves’ initial contract for $100,000 was approved in February 2012, according to a memo from Assistant Attorney General Mike Gahan. Months later, the attorney’s contract was increased to $350,000 for the time period of July 1, 2012 through June 30, 2013. However, records show 18 invoices totaling $422,775 were sent to the medical board by Graves’ law firm. Graves was hired by the medical board to assume the prosecutor’s role after then-Assistant Attorney General Libby Scott was taken off the Anagnost case, internal emails from the medical board show. “Dan Graves was hired to do one thing – come after me,” Anagnost said. Anagnost claimed in an interview with Red Dirt Report that Graves deliberately changed a CT scan exhibit that was presented during the surgeon’s deposition on May 15, 2013. Anagnost said the scan was different from the exhibit given to him and his attorneys prior to the deposition. “The CT scan images were altered at the exact spot which demonstrated exculpatory evidence, which would have exonerated me from the false allegations of placing a cervical plate and never screwing it into the patient’s bone,” he said. According to Anagnost, the altered images hide the screw tracts that were actually in the bone. Anagnost acknowledged the screws pulled out but that was due to the elderly patient’s soft bone. When the surgeon objected to the CT scan in question, he was castigated by Graves, according to a deposition transcript. “This exemplifies destruction of public records, destruction of evidence, filing a false or forged instrument and witness intimidation,” Anagnost said. On more than one occasion, Anagnost said during the deposition that the CT scans were not the same. “It’s almost like it’s a different image,” the surgeon said of the CT scan he was shown by Graves. “They change because they’ve been windowed and leveled so that we could see the screws,” Graves replied. However, Anagnost still expressed concern about the credibility of the images he was shown. At that point, Graves became irritated with Anagnost’s answers to questions. “Dr. Anagnost, however it usually is or whatever you’re used to, this is the visualizing software that we have to work with here. Nobody has altered them or tried to do anything strange to the data,” Graves said. Later in the deposition, Graves again became frustrated that Anagnost wanted the questions clarified. “You know if you do this in front of the Board, it’s not going to get you whatever you think you’re getting out of this. Just answer the question,” the prosecutor said. At that point, Anagnost’s attorney, Barry Smith, objected. “That is so inappropriate,” Smith said. “Is it really?” Graves replied. “Yes, it really is,” Smith said. “After this speechifying we’re doing here?” Graves retorted. 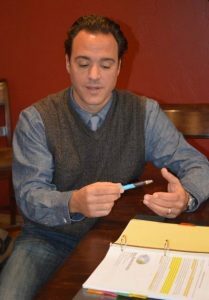 Medical board internal emails obtained by Red Dirt Report also indicate Graves, among others, misled Oklahoma’s Supreme Court during a February 2013 hearing as Anagnost’s legal team attempted to persuade the justices to assume jurisdiction in the case and remove it from the medical board’s oversight. However, the justices denied the request by a 5-4 vote. The emails and memos show board members were aware of the investigation and its details, which is contrary to the testimony given to the state Supreme Court. Three weeks before the hearing, board member Chuck Skillings wrote an email to Kelsey arguing that it was time to move forward with the Anagnost trial, which was never held due to a lawsuit settlement several months later. Anagnost sued the board in July 2013 and a settlement was reached in September 2013. “In this case, the Board is the judge and as one Board member I am not going to support any further delays. I don’t want to appear as an antagonist but I believe based on information that we have already been given that the public is at genuine risk if this physician continues to practice,” Skillings wrote. Board members are supposed to remain impartial in each case presented against a physician, a medical board policy states. Graves’ legal fees were not the only expenses incurred in the Anagnost prosecution. Attorneys Joseph Farris and Paula Quillin contracted with the medical board to assist Graves in the prosecution of Anagnost. The medical board agreed to pay the two attorneys $300 an hour with the total contract not to exceed $100,000, records show. Additional records show the Tulsa law firm of Taylor, Ryan, Minton, Van Delsem & Williams invoiced the medical board for $25,559 while another law firm of Wiggins, Sewell & Ogletree billed the agency $14,051. Wiggins served as the medical board’s legal counsel and trial examiner in the Anagnost case.